Green Heating and Cooling | Air Source Heat Pumps | What are air source heat pumps? Air source heat pumps are an efficient electric heating and cooling option for your home or business. Most heating technologies, such as a natural gas furnace or electric baseboard heating, work in the same basic way: they modify the temperature of a building by generating hot air that is circulated throughout the home. An air source heat pump works differently. Instead of generating heat, it simply transfers heat from one place to another. As a result, air source heat pumps use energy much more efficiently than other technologies. 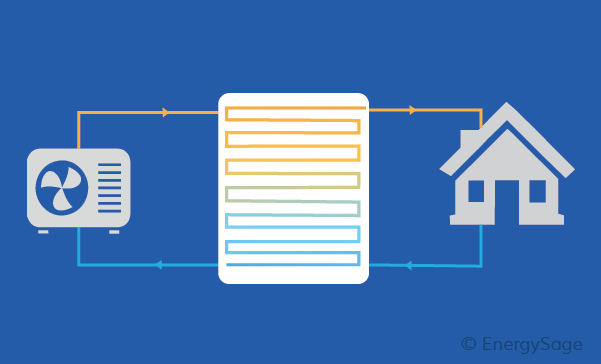 In many cases, they’re a smart home energy system upgrade. Air source heat pumps can either be ducted or ductless, depending on your building, its needs and your preferences. This step begins at the outdoor unit of the heat pump. Outside air is drawn in with the use of a fan. 2. Heat from the outside air transfers into the system. The air flows over a tube with refrigerant fluid being pumped through it (known as a heat exchanger). The refrigerant is colder than the outside air, and as the air flows over it, heat is transferred to it, which warms the liquid. 3. The heat is concentrated in the system’s heat exchanger. As the liquid refrigerant is warmed through the heat exchanger, it turns to vapor in the same way that boiling water turns to steam. The vapor is then compressed to concentrate the absorbed heat. 4. The heat is moved into your home. The concentrated hot vapor passes through a second heat exchanger, which supplies the heat energy to your house. As your home warms up, the vapor cools and is pumped back through the first heat exchanger to collect more heat energy from the outside air. This happens continually to maintain your air temperature. In warmer months, this process simply runs in the opposite direction to cool your home. Instead of transferring the heat from outside air to inside, the refrigerant is pumped through a heat exchanger inside your home first, where it absorbs heat energy and moves it outside. If an air source heat pump transfers heat, how is it supposed to heat your home in the winter? It’s a reasonable question: if the outside air is much colder than the temperature you want in your home, how will an air source heat pump heat work? Heat pumps are able to operate in cold weather because of the fact that even cold air has heat energy in it. In fact, all air has heat in it until it is cooled to absolute zero, the lowest temperature known to be physically achievable in our universe. Absolute zero occurs at about -459.67 degrees Fahrenheit. By comparison, the coldest winter days in the U.S. are closer to 0 degrees Fahrenheit. That gap of over 400 degrees between outside temperature and absolute zero is the source of heat energy in an air source heat pump system. The equipment you buy and install to operate an air source heat pump is designed to extract some of that heat energy and use it to heat your home. Once your outdoor unit generates heat, it must be distributed throughout your home. 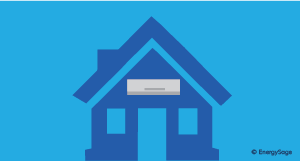 Homeowners have two options when it comes to distributing the warm or cold air from an air source heat pump: ducted and ductless systems. Buildings with a ducted heating and cooling system distribute air through a single central path, usually tubes in the walls made from sheet metal. If your building already has ducts installed, most experts will tell you to simply use the existing infrastructure and use a ducted system. A major benefit of ducted heating and cooling setups is that they are installed behind walls and in crawl spaces. As a result, you don’t need to worry about the indoor units that need to be installed with a ductless system. However, ducts can be expensive and complicated to install. 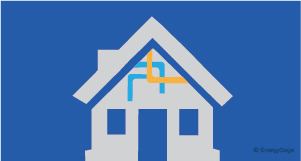 Ducted systems are best for new construction or properties that already have ducts installed. Ductless systems have many advantages. They are much simpler to install, more efficient than ducted systems, and allow for fine control of the temperature of individual rooms in any building. If you are building a new property or an addition, or are retrofitting a home without a ducted system, a ductless air source heat pump system is a simple and efficient option – as long as you don’t mind the look of units installed on the walls. Air source heat pumps are commonly used to regulate the air temperature of a building, which is known as an “air to air” systems. However, you can also use an air source heat pump as part of an “air to water” system, in which heat generated from the outside air can be sent to radiators, underfloor heating, and hot water systems.